Aubrey Graham known as Drake, had dropped his album More Life on Saturday evening. The album was in fact highly anticipated and by most critics come out to say that the album is not what everyone anticipated it to be. The R&B artist released the album holding a whopping number of 22 songs and throughout all of them many find 5 songs on the album the best. Names of songs go as followed Free Smoke, Long Talk, PassionFruit, Jorjas Interlude, Get It Together, Madiba Riddim, Sacrifices, Portland, Blem, 4422, Gyalchester, Skepta Interlude, Nothing Into Something’s, Teenage Fever, KMT, Lose You, Glow, Can’t Have Everything, Since Way Back, Fake Love, Ice Melts, and Do Not Disturb. Now out of all the songs best ones would be Passionfruit, Sacrifices, Portland,Fake Love, and Since Way Back. 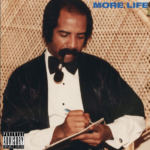 The album was mostly Drake realizing he’s reached his peak and he is in a stage of his career where he wants to experiment with different sounds along with flow, that are more towards a reggae sound than his original downbeat feel where you would think about life. The 29 year old artist is still one of the best out right now but this album on a 5 star scale many have gave it a solid 3. Hopefully next year it can be better and Drake can stay in his roots.